On a hot summer night, there are few more ideal places to enjoy a relaxing meal than Brant Point Grill, overlooking the harbor filled with the sparkling lights aboard the moored boats. Fresh new summer menus provide extra motivation to head to BPG. 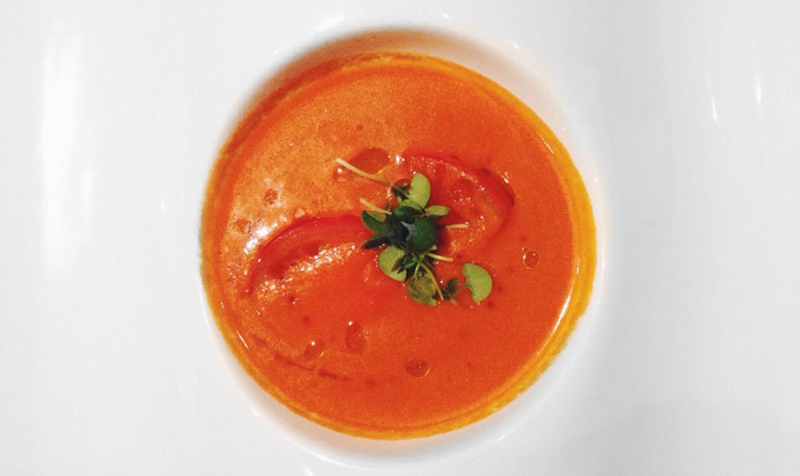 One Nantucket Insider can't survive the season without is the Tomato Gazpacho. Chef Tom has shared the recipe with us as well as a few helpful hints... Tomato Gazpacho Ingredients 3 ½ pounds beef tomatoes, chopped into 8 pieces 4 garlic cloves 2 pounds red pepper, seeds removed, chopped into 1 inch pieces ½ pound European cucumbers, peeled and roughly chopped 3 ounces basil leaves ¼ cup white balsamic vinegar A good pinch of kosher salt 1 teaspoon sugar ¼ cup olive oil 1 teaspoon cayenne pepper I like to use very ripe beef tomatoes for this recipe. If you can use local, that is great, or even an heirloom variety is good too. The ingredients must marinade overnight, so that the vinegar and sugars break down the tomatoes and release their flavor. A lot of recipes call for bread to help thicken the soup. 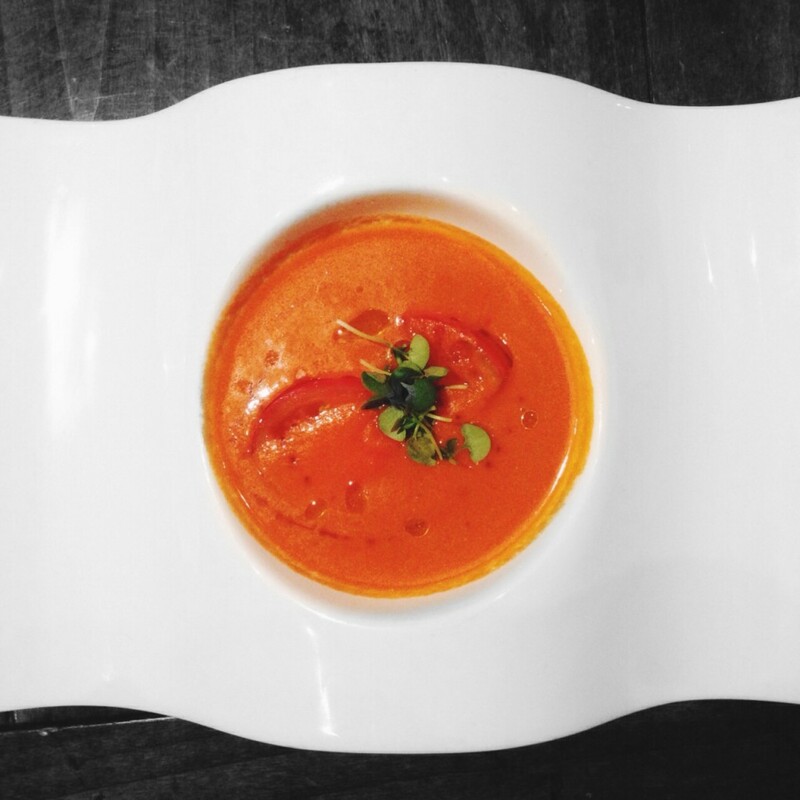 I however do not use any bread, which makes the gazpacho lighter, and it also means that people who are gluten free can eat it too. Method Mix all of the ingredients together and allow to marinade in the refrigerator for 24 hours. The next day blend all the ingredients together, until you get a smooth consistency. Check the seasoning, and adjust accordingly. Pour into a bowl and serve with a crispy baguette, or a green salad. If left for a couple of hours the ingredients will separate from each other, so it is important to whisk again before serving. The soup will be good for up to three days.